the disciple took her to his own." Mary was crowned by Jesus as the Queen of Heaven and Earth. This truth is studied in the final of the Glorious Mysteries of the Rosary, the Coronation of Mary. Who is Mary you may ask. Well she is much more than a simple Jewish girl from the New Testament. She is Mary Mother of Jesus, Mary the Mother of God, Mary our Advocate, Mary our Helper, Mary our Benefactress, Mary our Mediatrix, Mary our Mother and Mary our Queen. 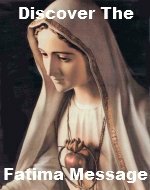 With a firm historical knowledge of how God deals with the human race, these titles of Mary can be easily deduced from Sacred Scripture. These Bible passages for Mary, Queen of Heaven were taken from the timeless Douay-Rheims Catholic Bible. If you are looking for a more modern language version of Mary as Queen of Heaven, our recommendation would be the St. Ignatius Press Bible. nor the pillar of fire by night, before the people. Knowing that Mary as Queen of Heaven is also your Queen and Mother, you can place trust and confidence in her intercessory power. It is true that Jesus is the primary advocate between God and mankind, but this does not mean that there cannot be other, secondary advocates. Jesus is the advocate with God the Father and Mary is the advocate with Jesus. This concept is firmly based in Scripture. When examining the wedding feast at Cana, it is clear that Mary interceded for the wedding party and she continues to be the advocate for her children to this day. As Queen of Heaven and Earth, she continues to intercede on her children's behalf. She asks her Son, Jesus to send the graces needed to secure their eternal salvation. Mary the Advocate - Mary cares for all her dear children. She knows their sufferings for she too suffered. It is comforting to know that you can turn to her in your time of need. Mary's humility and obedience makes her pleasing in the sight of God, for she perfected all virtues and was free from sin from the moment she was created in her mother's womb. For this reason, her prayers are more powerful than even the angels before the throne of God. Jesus would deny nothing she asks of Him. Mary the Helper - Mary helps her children. 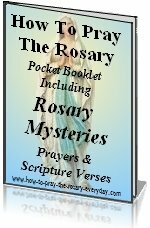 Her power and the power of her Rosary have been demonstrated many times in history when those who placed themselves in her care were miraculously saved. Mary the Benefactress - Mary distributes many graces. These graces are necessary to live a holy life and to perfect the virtues. Jesus is pleased to allow her to distribute these graces that were earned by the merits of His suffering and death. Mary the Mediatrix - Mary mediates for mankind. Mary played a huge role in the redemption of mankind. Mary first said yes to God then through her consent, the Word was made flesh and dwelt among us. Mary offered Jesus as a sacrifice to God when she presented Him in the temple. At this time Simeon prophesied that her heart too would be pierced by a sword. Mary suffered along with Jesus at the foot of the cross. For this reason, God will grant all her requests. Mary is both your Queen and your mother and she loves you in particular. She cares for you while you struggle amidst the trials and tribulations of everyday life. She will continue to do so until you make it to your eternal home, heaven. Place yourself in the hands of Mary. She will assure that you are washed clean and purified in the precious blood her Divine Son.